Wolverine Does A Cameo On Iron Man Anime - Now What? Wolverine's Anime has been out for a couple of months now in Japan but it looks like he's taken the time to do a cameo for a fellow Marvel Super Hero's anime series. The Iron Man Anime will have an english dubbed version released in the US on July 29th and it looks like they're trying to get more viewers in by letting Wolverine sink his claws in a couple of scenes or two. 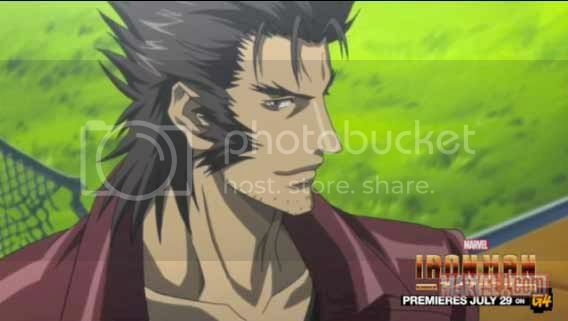 I like watching anime but I'm really not digging the heart throb look on this version of Wolverine. He's supposed to be a killing machine and not a shiny vampire wanna be people!